Well, dear readers, the truth is: I'm a food waster. Notoriously so. Being an adventurous baker, cook, fermenter, and general kitchen experimenter, I tend to buy produce with great enthusiasm and then, as it often happens, life gets in the way. My beautiful fruits and veggies are quickly forgotten and left to wilt and wither in the darkness of my vegetable drawer. It's a sad fate for bright red rhubarb to become rubbery and faded, especially because I wait all winter for spring to come and bring my favorite tart vegetable back onto the tables at the farmers market. I've tried a few things to cut back on this terrible problem. I started doing my grocery shopping on Sundays, thinking I could buy everything all at once and cook throughout the week. The problem with this theory is that while I usually found time to make something on Sunday afternoon, by the time the work week started, life got too busy and I never found time to cook. Garbage Day would roll around and I'd do a quick scan of my fridge to see if anything was past it's prime and, much to my disappointment, I'd open the vegetable crisper and remember all the once-fresh vegetables intended for never made meals. Beautiful rhubarb from Melissa's Produce! Apparently, I'm not alone in my food waste habits. Each year, 25% of the fresh fruit and vegetables purchased by U.S. consumers are wasted before they're consumed. That adds up to a whopping 226 lbs per family per year! Yikes! Luckily for me (and you! 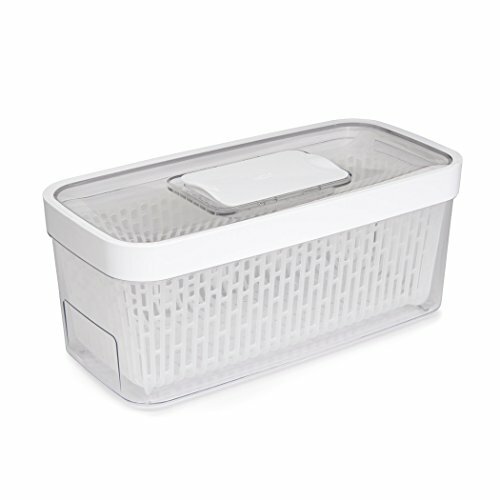 ), the always-clever OXO has devised the Greensaver system, which uses activated carbon and a thoughtful storage container to keep your produce fresh, longer! Improper Airflow: When produce rests against the walls of containers, bags or crispers, moisture can build up and cause rotting. When I received my rhubarb from Melissa's Produce, I wanted to make a dessert for two. I settled on this beautiful rhubarb clafoutis and only needed two ruby red stalks to make it! I washed the rest of the rhubarb and stored it in my fridge to use during a baking spree the next weekend... and to my chagrin, when I went to make rhubarb syrup the next week, each stalk was just as fresh as the day it arrived thanks to my Greensaver container! 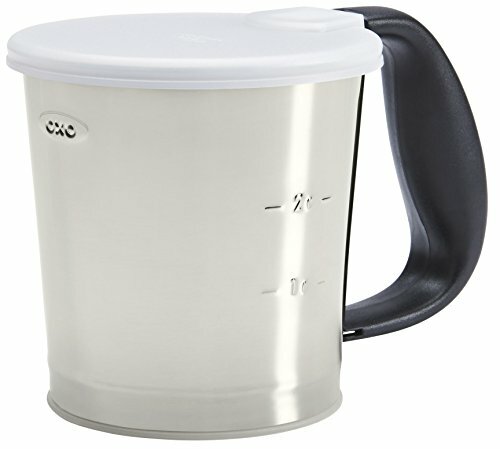 What fruits and veggies would you store in the OXO Greensaver system? Disclosure: I was provided with an OXO Greensaver storage container for review and a box of rhubarb from Melissa's Produce. I was not compensated in any way and all opinions are my own. This beautiful and easy to make dessert is rustic and perfect for sharing! Dust with powdered sugar to finish if you wish. Bon apetit! Whisk together, egg, sugar and vanilla until combined. Gradually whisk in the milk. Sift the flour and salt into the egg mixture in three additions, whisking rigorously each time to break up any lumps. 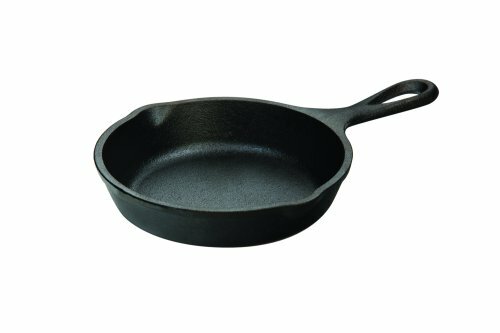 Pour into a greased, 5" cast iron skillet or greased 6" cake pan. Arrange rhubarb on top of the batter. Bake for 18-22 minutes or until puffed around the edges and a toothpick inserted into the center comes out clean. Serve immediately with ice cream for a looser custard-like texture or allow to cool before serving for a firmer texture (the puffy edges will collapse as it cools). Equip yourself! I used these products to make this recipe!